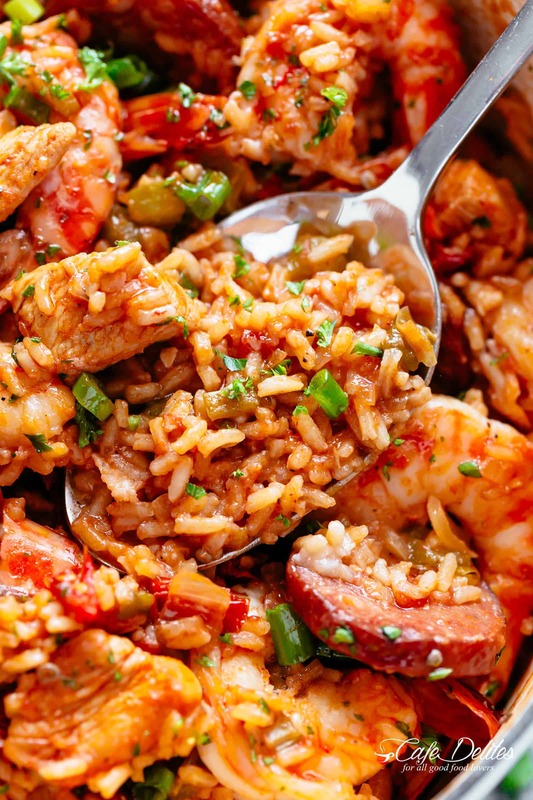 Jambalaya is a quintessential one pot recipe with chicken, sausage, shrimp and rice! Coming to you from New Orleans! Great recipe. I substituted the chicken stock for shrimp stock. With all the leftover shells, it’s almost a no-brainer. Next time I’ll probably half the thyme as my Cajun seasoning already has a bunch of thyme already, so it was a bit over powering. This is so good! Just perfect. I made it with brown rice the second time I made it, just to make it a little healthier, and it was just delicious. Thanks for the awesome recipe. This recipe is fantastic! Great flavors! The prep time took me about 45 minutes versus 15 but the cook time was spot on. As well, I used Kielbasa instead of Andouille. It’s just a personal preference. This recipe makes a lot of food so invite sound friends. I was looking for Jambalya’s recipes and found your web page which looks really great ! 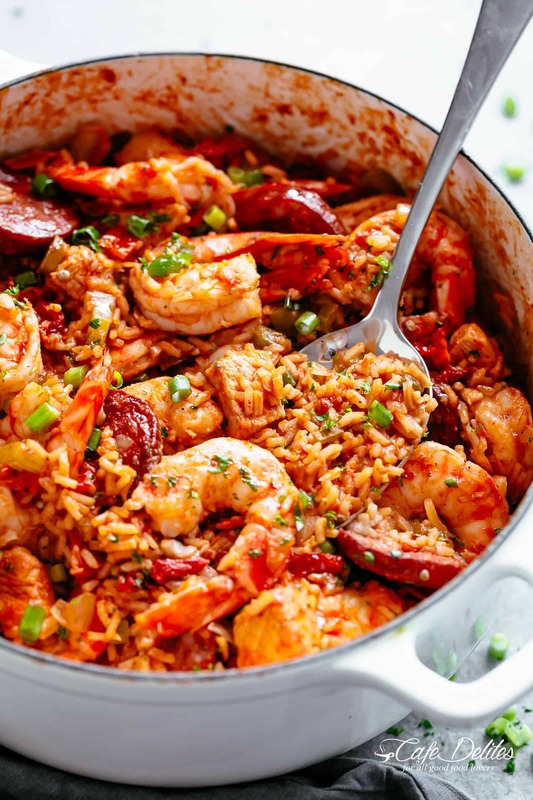 I will try your version of the jambalaya tomorrow with my family and some friends. I’m sure it will be delicious. Great recipe! Perfect change of pace for dinner. My wife loved it. I made it nice and spicy and it wasn’t too hard given my lack of cooking abilities. Fantastic recipe! The only change I made was not adding salt which included making my own Cajun Seasoning. This is definitely a keeper! Absolutely delicious recipe. It makes a big pot of yumminess. It’s spicy and comforting. I added peas at the very end instead of okra. Fantastic recipe! I made it exactly as written and I would not change a thing. However, my 10 year old son thought it was too spicy. For my taste it was exactly what I hoped it would be. A must try! This was the best pot of jambalaya that I’ve ever eaten. I had to tone down the amount of spice due to my wife having issues with heat, though. I only used 1 tablespoon of Cajun Spice and no cayenne and it was still almost too hot for her. It still turned out to be the greatest flavor. This was excellent! I did pull off the tails of my raw shrimp first. But other than that, I cooked it as written. So yummy! Served along side a salad with the oak alley plantation dressing. Made cornbread with honey and butter. Best meal in a long time. I feel like I just made the greatest pot of Jambalaya in history? 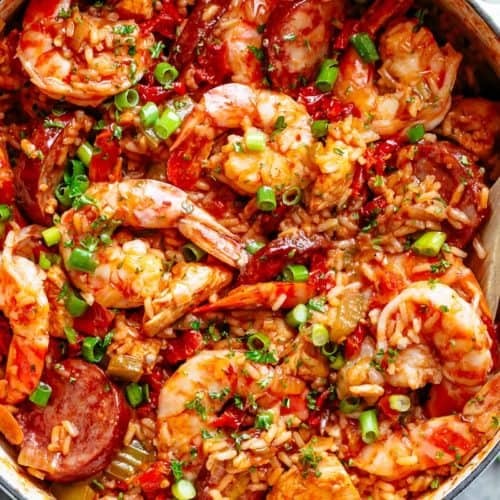 I tried Jambalaya today! It was increadible!!!! I received lots of congratulations! Thank you for sharing these delicious recipies with us!!! Oh Karina this is basically how my aunt makes it. I CAN ALREADY TASTE IT just by your pictures wow they are stunning. Sorry caps lock was on must be all the excitement. I’m going to try your way of seasoning the sausage as well as the chicken. She only ever seasoned the chicken but you have me all sorts of intrigued. We use okra also and I was happy to see you included it because not many people do. Woman of many talents you are. I know what I’m making come memorial day thanks to you. God bless you. what is slap yo mama spice? can i substitute if i can’t find it?with what? Hi Michael. It’s a Cajun seasoning brand, but any Cajun seasoning is fine. Yes, that is correct! Good luck and enjoy!! 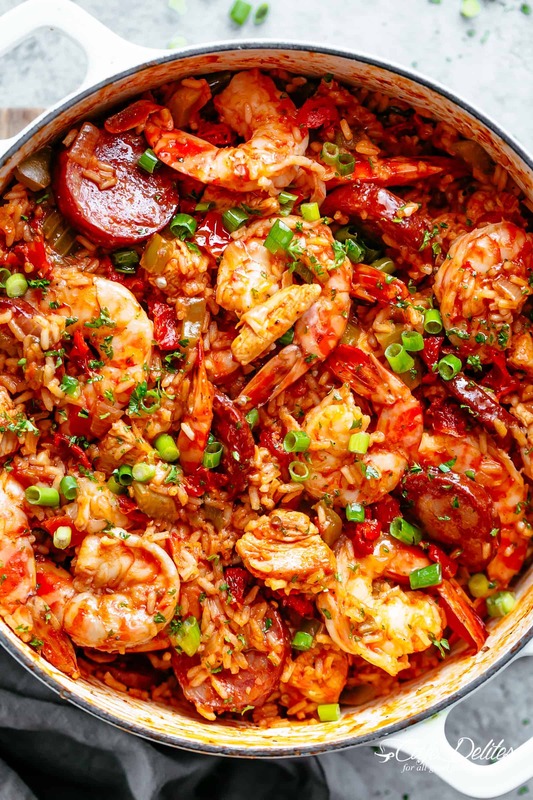 I found your article on jambalaya really interesting and super informative – Thank you so much for the post! Thank you for following along with me! 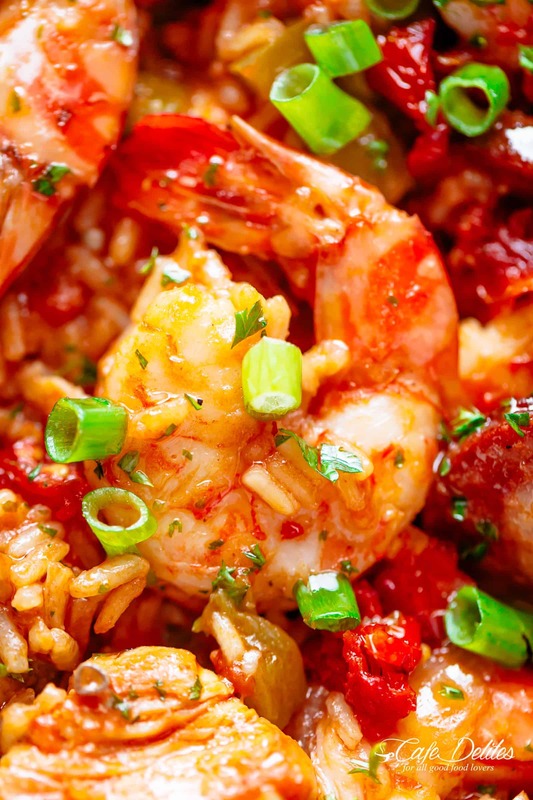 Hope you enjoy your Jambalaya! !